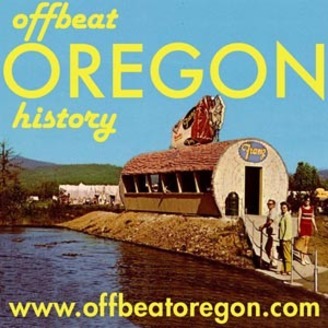 A daily (5-day-a-week) podcast feed of true Oregon stories -- of heroes and rascals, of shipwrecks and lost gold. Stories of shanghaied sailors and Skid Road bordellos and pirates and robbers and unsolved mysteries. An exploding whale, a couple shockingly scary cults, a 19th-century serial killer, several very naughty ladies, a handful of solid-brass con artists and some of the dumbest bad guys in the history of the universe. From the archives of the Offbeat Oregon History syndicated newspaper column. Source citations are included with the text version on the Web site at http://offbeatoregon.com.